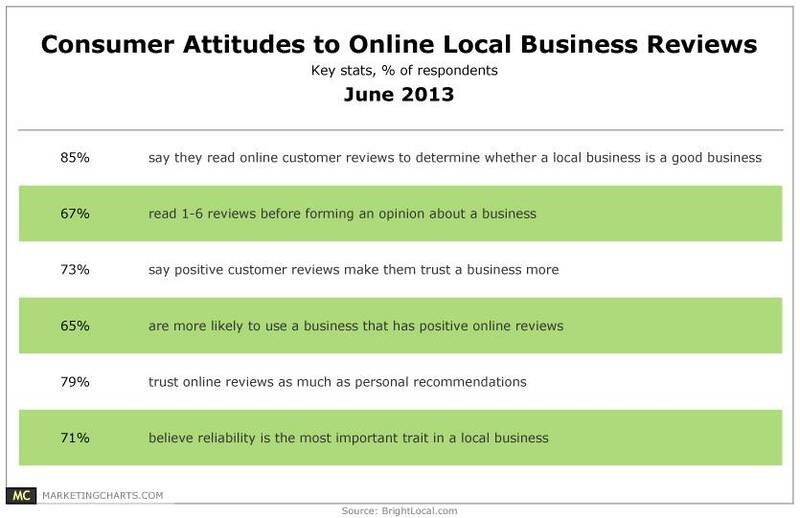 According to a recent study completed by BrightLocal, 8 in 10 consumers say they trust online customer reviews as much as personal recommendations. This is a great testament to online reviews. Many people in the past were a bit weary when it came to online customer reviews because how they could be modified, automated and manipulated in many different ways. As Google and other review services have become more sophisticated it has become harder for people with bad intentions to game the system. WhyiLike has taken customer review authenticity and verification to a new level with the launch of handwritten reviews that are written by customers while still at the business, sent to WhyiLike for posting and then verified via email before launching the review. This is very important because consumers must know the authenticity of the reviews before believing them. Our verification process decreases review spam to zero since each review is verified by a human before being posted. WhyiLike is a very powerful tool in helping your business promote reviews and generate more customers as well as search and social media exposure. Learn how WhyiLike can help your business get more customer reviews. Visit WhyiLike's profile on Pinterest. WhyiLike | Customer Reviews. Simplified.